Mom, the Intern: Lady in red. Confession: I love that super-cheesy 80's song, "Lady in Red." Always have. It's just so darned romantic! 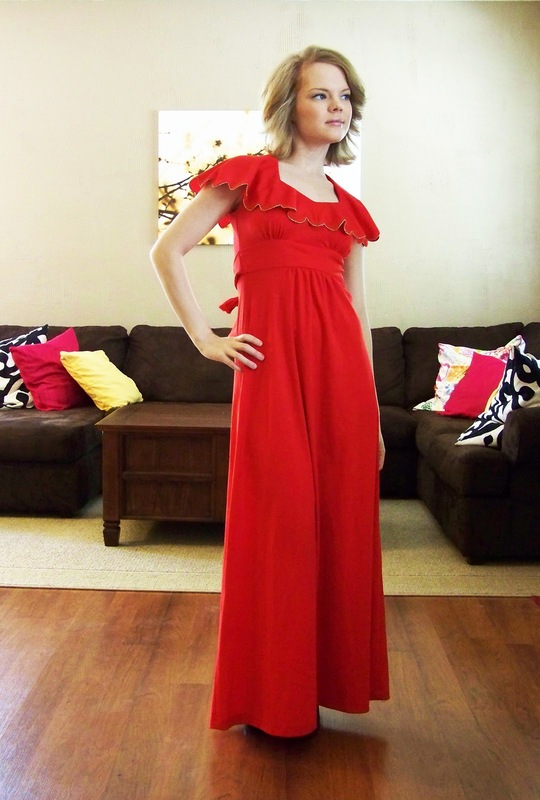 And that's one of the many reasons I could not pass up this fire engine red floor-length dress from Seesaw Vintage. I had a promo code so after everything it only ended up being $30. No brainer! 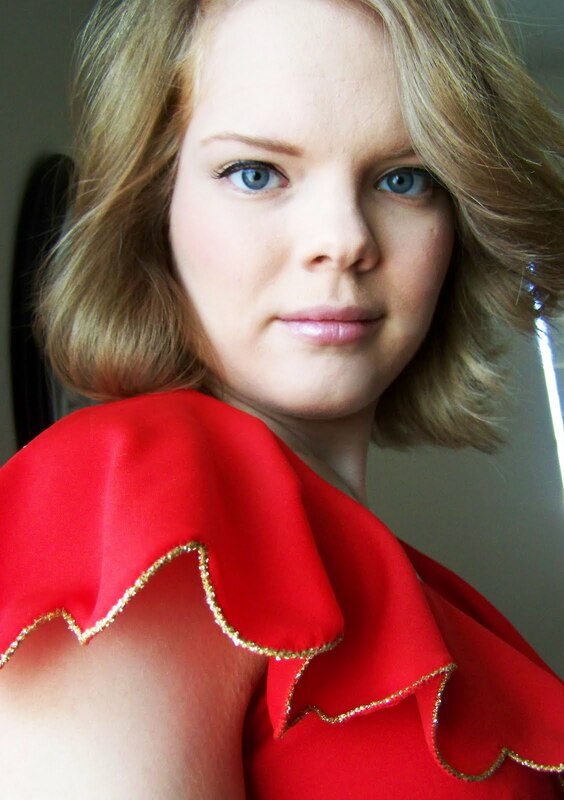 Check out the gold detailing along the scalloped sleeves. So perfect. I hope I get invited to a fun Christmas party this year! Also: younger sister who is going to Homecoming? You are more than welcome to borrow this hot number. Take a look at some other lovely finds in the Seesaw Vintage store. I really wanted this one but it wasn't my size. Hope your Saturday is going well. Goooooo Cougars! You had better believe my Prom dress was red. Oooohhh yeah. That dress fits you like a dream. Um, I LOVE this! It is so perfect on you! And you can never go wrong with scallops. Aye aye aye shexy lady. ohhh i love it! you were right, fits you perfectly.